Patients younger than 65 with double expressor diffuse large B-cell lymphoma had better outcomes with dose-adjusted EPOCH plus rituximab than R-CHOP. Patients aged younger than 65 years with double expressor diffuse large B-cell lymphoma (DE DLBCL) had better outcomes with dose-adjusted EPOCH plus rituximab (DA-EPOCH-R) than R-CHOP, a retrospective analysis revealed. The study findings were published online January 10, 2019, in Leukemia. Study authors retrospectively compared the outcomes of patients with DE DLBCL treated with DA-EPOCH-R versus those treated with R-CHOP. The primary objective was to compare 2-year progression-free survival (PFS) and overall survival (OS) for each treatment regimen. A total of 114 patients were included in the study; 51 patients in the DA-EPOCH-R group and 63 patients in the R-CHOP group. The DA-EPOCH-R group had an overall response rate (ORR) of 80%, with 37 patients (73%) achieving complete response (CR) and 4 patients (7%) achieving partial response (PR). The R-CHOP group had an ORR of 76%, with 44 patients (71%) achieving CR and 4 patients (9%) achieving PR. No statistically significant differences for 2-year PFS or OS were seen between treatment groups. However, when a subgroup analysis was performed on the basis of age, a difference emerged. Patients in the DA-EPOCH-R group aged younger than 65 years had a longer 2-year PFS rate than the patients in the R-CHOP group (PFS = 82%; 95% CI, 66%-100% vs PFS = 43%; 95% CI, 26%-73%; P = .020). The patients in the DA-EPOCH-R group aged younger than 65 years also had a longer 2-year OS rate than those in the R-CHOP group (OS = 90%; 95% CI, 74%-100% vs OS = 62%; 95% CI, 43%-88%; P = .042). 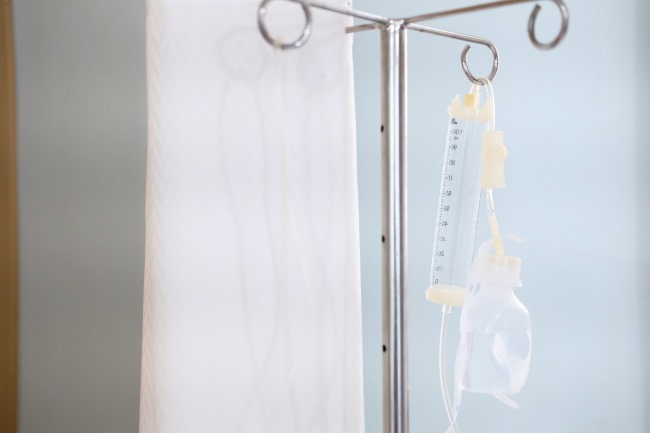 “The results of the present study suggest that intensive chemotherapy, such as DA-EPOCH-R, should be considered for patients with DE DLBCL aged less than 65 years,” the study authors wrote in conclusion.